Get your crayons ready and get creative. 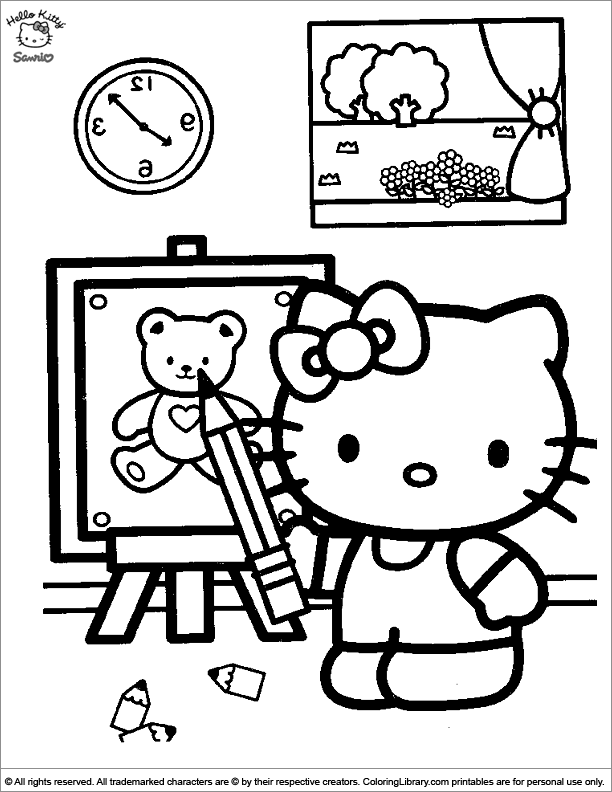 Add your colorful imagination to this Hello Kitty coloring for kids free. The free printable Hello Kitty coloring pages for kids can be used to create your own Hello Kitty coloring book.